Pierre Tibi, MD, SABM President, and Sherri Ozawa RN, SABM President-elect, recently traveled to the InCor Hospital System in São Paolo, Brazil, to deliver a series of educational lectures on the implementation of a comprehensive Patient Blood Management program in a Cardiology and Cardiothoracic surgery setting. InCor is the largest hospital system in Latin America, and has comprehensive medical services including adult and pediatric heart transplant and other advanced medical and surgical cardiac procedures. Blood transfusion is a challenging issue in Latin America, with both supply and cost issues. InCor recognizes that a comprehensive Patient Blood Management strategy leads to increased efficiency, safety, and outcomes. Registration is Open! Annual Meeting 2019. 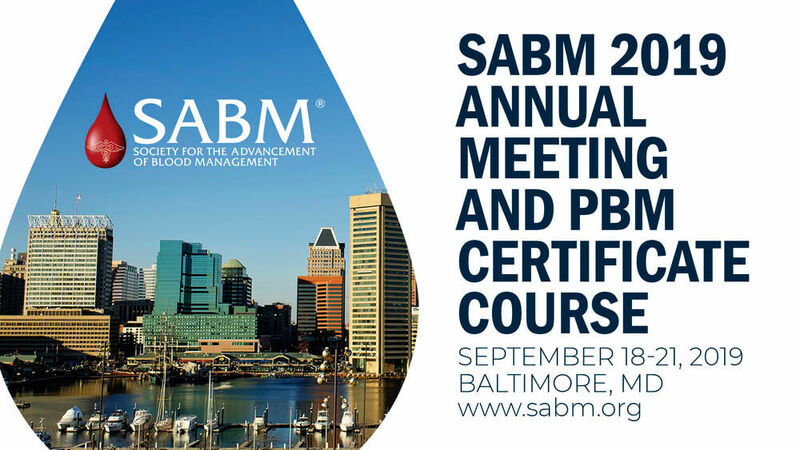 SABM is holding its 18th Annual Meeting on September 19-21, 2019 in Baltimore, Maryland. Due to its popularity, the SABM Patient Blood Management (PBM) Certificate Course with Exam will be offered on September 18, 2019. These events are packed with what industry professionals need to know. Actual Patient Blood Management Organizations were not invited or included – (e.g. SABM, NATA, and IFPBM (International Foundation of PBM)). PBM is PATIENT-centered, not transfusion-centered and focuses on the Patient’s blood, not donor blood. PBM is a BUNDLE of care, not one specific therapeutic intervention and cannot and should not be compared to transfusion in the manner described in the paper. Absence of RCT’s in PBM does not equate with a lack of evidence. Many hospitals are implementing PBM initiatives - with positive measurable results - in response to published data. We have concern that these purported “weak” recommendations will diminish advancement in the field which lead to improved patient outcomes. ICC-PBM article: JAMA. 2019;321(10):983-997. doi:10.1001/jama.2019.0554. The SABM Research Grant is intended to advance the field of patient blood management by an supporting an investigator who intends to study methods of promoting blood conservation. This one-year grant provides starter funding to further scientific inquiry and clinical knowledge in the field of patient blood management. Preference will be given to junior faculty who will be advised by an experienced mentor. It is anticipated that the funded study will generate results that can be used as pilot data or preliminary findings to support future grant applications focused on methods to improve patient blood management and to promote blood conservation. It is expected that all applicants will be members of SABM, or will become members of SABM for at least one year. Applications will be due by June 1, 2019. The awardee will be informed by June 30, 2019 and it is mandatory that the grant recipient be able to attend the SABM annual meeting September 19-21, 2019 in Baltimore, Maryland to be formally recognized. Funding will begin October 1, 2019. The $15,000 does not include any extra funding to cover indirect institutional costs. Scholarly activity generated by this grant will be presented to the SABM members at the SABM annual meeting in 2020, and is expected to be published in peer-reviewed journals. A progress report submitted to the SABM Research Committee is expected 12 months after the funding is issued. Physicians, nurses and other healthcare personnel looking to grow their knowledge and skills in Patient Blood Management -- from ethics to advanced techniques -- should consider enrolling in the new online course. The Society for the Advancement of Blood Management (SABM) invites members and non-members to submit abstracts related to the field of Patient Blood Management. Accepted abstracts will be published in the SABM Supplement of Anesthesia & Analgesia and will be presented at the SABM 2019 Annual Meeting in Baltimore, Maryland. The top three abstracts will be selected for oral presentation and given an award. 1. Clinical Research - Anemia Detection/Treatment/Management, Coagulation Issues/Management, or Blood Conservation Modalities/Devices/Techniques. 2. Quality and Safety - Patient Blood Management Outcomes, Morbidity and Mortality or Patient Experience/Patient Centered Care. 3. Medical Economics and Regulatory/Advocacy. 4. Case Series/Report - Only those that have a significant novel approach will be considered. Submit your abstract. Please note that you will be required to create a user account. Once the account is set up, you will then click on the link that reads "Submit Your Abstract Now". Save the Date! Annual Meeting 2020. SABM is holding its 19th Annual Meeting on September 10-12, 2020 at Caesar's Palace in Las Vegas, Nevada. Due to its popularity, the SABM Patient Blood Management (PBM) Certificate Course with Exam will be offered on September 9, 2020. The SABM Annual Meeting is an ideal opportunity for the PBM industry to market its products and services to SABM’s multidisciplinary members. Learn more about sponsor and exhibitor opportunities here. Trustee of International Foundation for Patient Blood Management and former head of Anesthesiology and Intensive Care at Linz General Hospital, Prof. Hans Gombotz, has received the SABM President’s Award 2018. The award is presented annually at SABM's Annual Meeting in recognition of those who have made outstanding medical, scientific and/or educational contributions to Patient Blood Management and who have contributed to the public good in the area of blood safety and the reduction of unnecessary transfusions. SABM is proud to partner with Choosing Wisely, an initiative of the ABIM Foundation that seeks to advance a national dialogue on avoiding unnecessary medical tests, treatments and procedures. 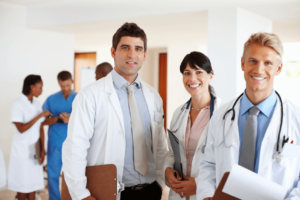 Download Five Things Physicians and Patients Should Question and place in waiting or exam rooms, or give to patients as handouts to educate them about overuse.